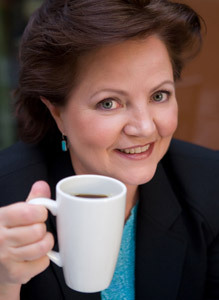 Founder of Vital Focus, Amy Burkhalter, is an expert in individual and team behavior change. With a master’s degree in psychology, she has more than twenty years of training and experience applying principles of change to the work world. Amy has worked with clients at all stages along the career path, from entry level up to executives. She has also worked with organization of all sizes, from small family businesses to multi-million dollar corporations. Amy focuses on her clients’ strengths and is passionate about helping individuals and teams identify, develop and leverage their talents. She works strategically with clients to support their intentions, priorities and goals. Amy has special expertise in helping people work effectively across differences of personality, culture, religion, and/or gender. As an American who was raised in India, and later worked with international students and lived in Japan, Amy has consulted with people from many diverse backgrounds and cultures.